Did everyone have a great Easter weekend? We had a busy one, but it was really nice. 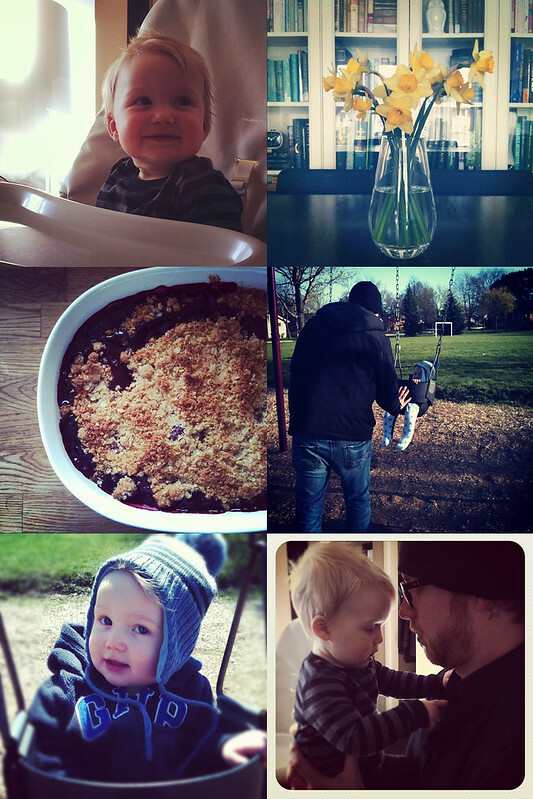 Lots of time with family, food, lovely weather...couldn't ask for much more. Easter dinner included turkey, dressing, mashed potatoes, turnip, and roasted brussel sprouts. I have tried many brussel sprout recipes and have always found them to be a bit dry, and over time I've sort of created my own recipe that I thought I would share. I could eat JUST these for a meal, seriously. Cut the tough edge off brussel sprout bottoms and remove loose leaves. Boil brussel sprouts until tender all the way through, drain, allow to cool enough to handle. 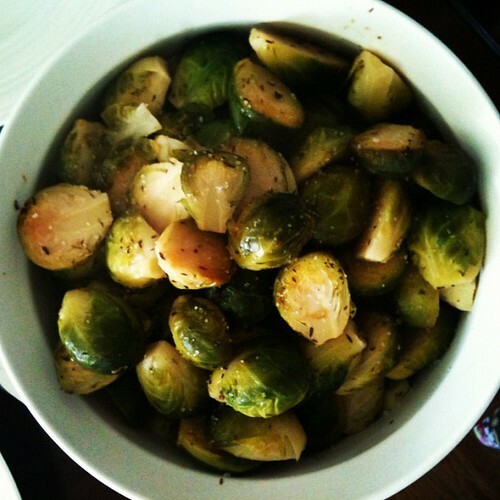 Cut brussel sprouts in half and fill casserole dish. Add white wine, chicken stock, butter (just scoop in, feel free to leave it in big chunks), and thyme. Cook at 425 degrees for about 15-20 minutes or until some have browned. Stri them often as they cook. Once slightly golden, stir again and top with sea salt. Add more to taste if you like (as I do, probably too much). Yum!